The MaxxAir 14 in. High Velocity Floor Fan is extremely versatile and packs surprising power in a small footprint. 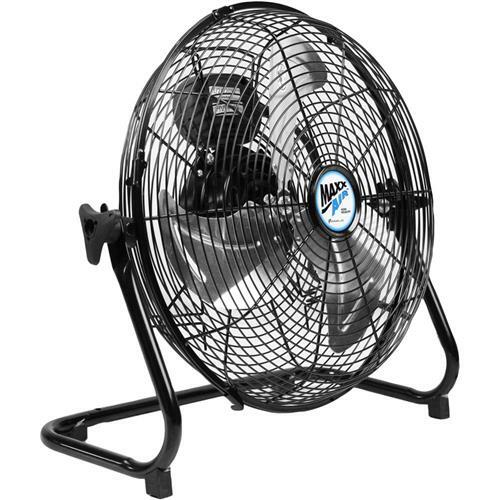 An excellent choice for use in the home, garages and basements, this powerful fan does it all while being compact enough to keep occupied floor space at a minimum. This unit has maximum efficiency aluminum fan blades and a 72 in. power cord with retainer. Box Dimensions - 26" x 9" x 26"